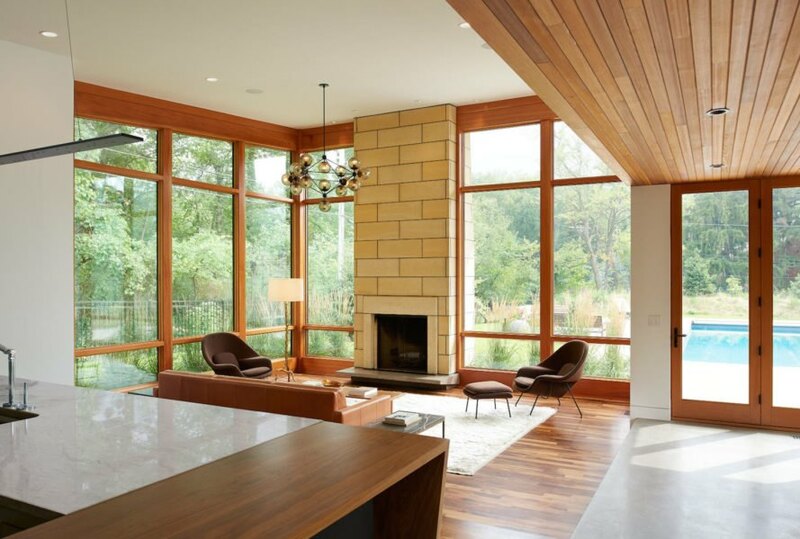 Minneapolis-based architecture firm Strand Design completed Theodore Wirth Ranch, a beautiful home designed to stand the test of time in both durability and style. 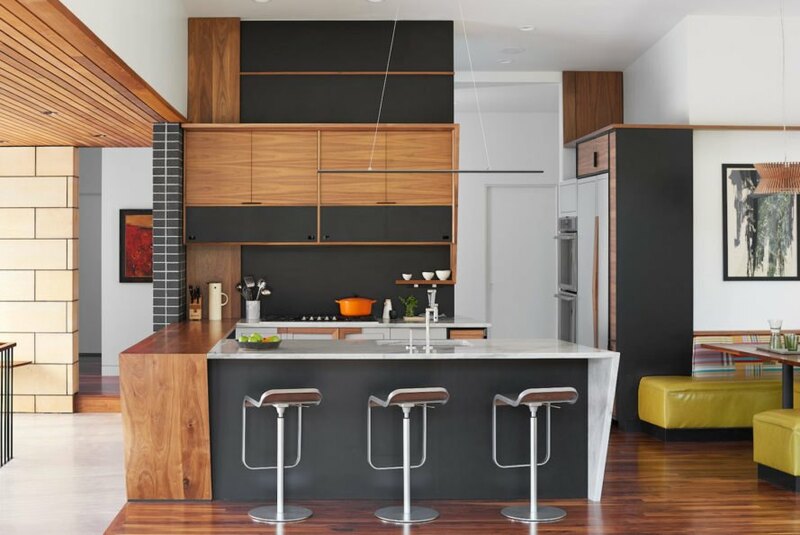 Located on a hillside near downtown Minneapolis, the 4,500-square-foot residence was envisioned as a “modern ranch” in a semi-urban environment. 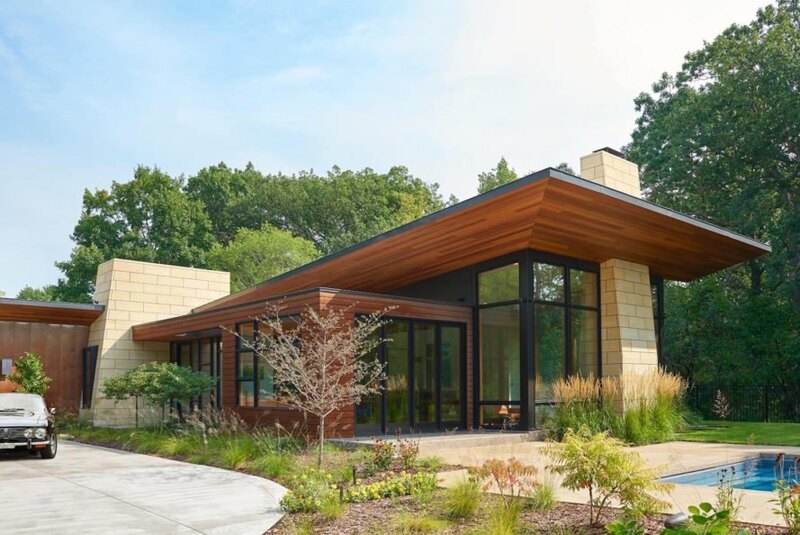 A natural materials palette ties the building into the landscape, while careful craftsmanship gives the home a clean and contemporary appearance. 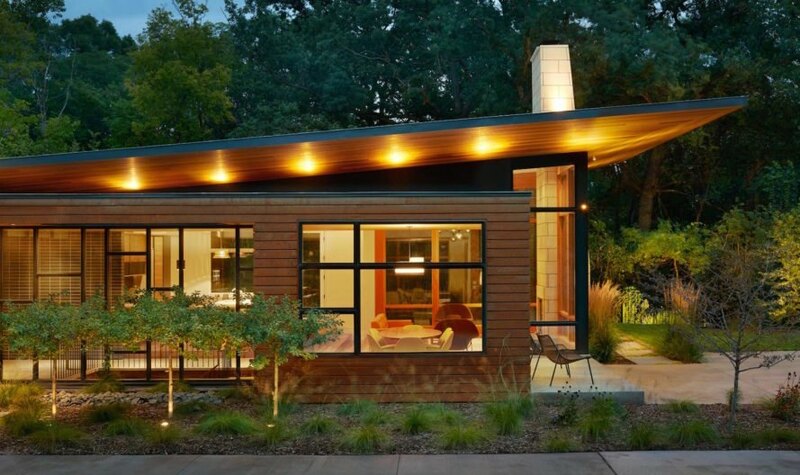 Set next to a densely wooded park, the retreat-like Theodore Wirth Ranch was designed around entertainment. A 10-meter swimming pool sits at the heart of the property between the main residence and the sauna, pool house, and outdoor kitchen. 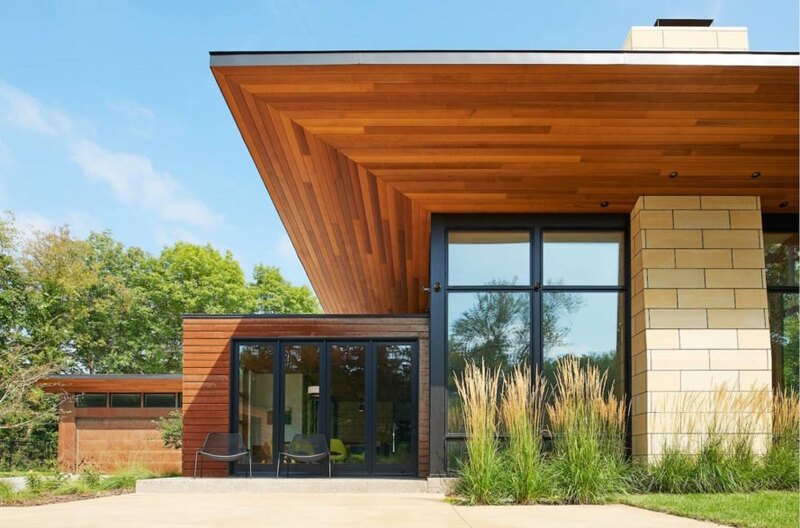 The outdoor entertainment area and the south-facing indoor living area that’s wrapped in full-height glazing are optimized for large gatherings. A planted berm on the south edge of the property helps mitigate street noise and provide additional privacy. A 10-meter swimming pool sits at the heart of the property between the main residence and the sauna, pool house, and outdoor kitchen. Set next to a densely wooded park, the retreat-like Theodore Wirth Ranch was designed around entertainment. 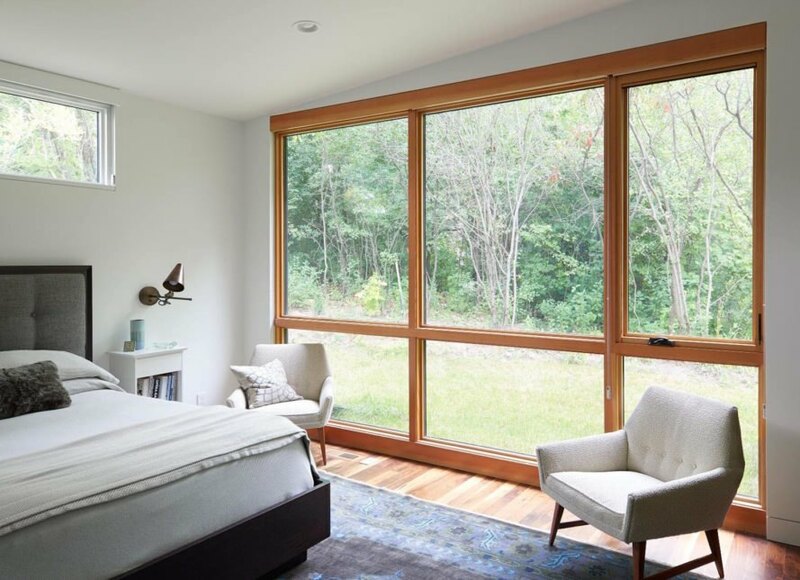 The outdoor entertainment area and the south-facing indoor living area that’s wrapped in full-height glazing are optimized for large gatherings. A planted berm on the south edge of the property helps mitigate street noise and provide additional privacy. 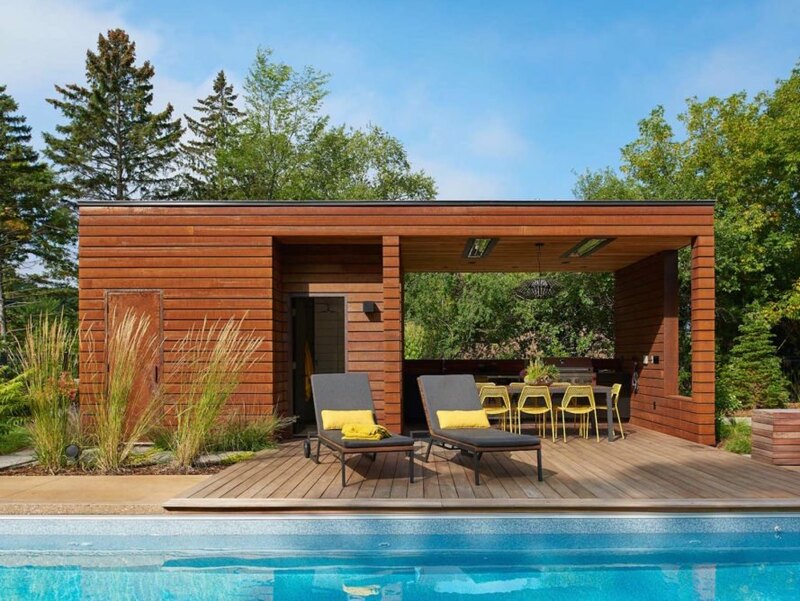 The cedar-clad home catches the eye with its striking cantilevered roof that helps shield the living spaces from summer solar gain.